You’ve just learned that your son or daughter is going to become a parent – congratulations! You are going to be a grandparent!! You’re likely feeling the same joy you experienced when you learned you were expecting your own child – it’s a time of hope, renewal, and the excitement of a beautiful new baby joining your family. So, here you go, Grandma and Grandpa! My key tips and advice about your grandbaby’s sleep, and how to help your own child as he or she navigates new parenthood and the exhaustion that can come with it! Sleep bags: Also known as “wearable blankets,” sleep bags were introduced when information regarding the suffocation hazard associated with blankets in cribs came to light. A sleep bag is also an excellent sleep cue for babies and toddlers. Worn for naps and nighttime sleep, it helps the child to understand when sleep time is coming up. It will also help keep baby cozy (rather than using blankets, which is not only a safety issue, but also means baby may kick off the blanket and become cold during the night). Blackout blinds: Both natural light from outside and artificial light (e.g. from streetlights) can make it very hard for a little one to fall asleep. Babies are very alert and easily stimulated, and lots of light in the room can make it hard to drift off to sleep. Despite previous ideas that babies should “learn” to sleep under the bright light or sunlight, research simply shows that human beings sleep better and more peacefully in the dark. I recommend that parents make the room as dark as possible with blackout blinds covered by blackout curtains. Sound machines: While children do not need to have white noise in order to learn to sleep soundly, it can be helpful, for example, if the house is noisy, if there is another child being loud during naptime, etc. Again, while previous thoughts focused on “teaching” a baby to sleep with loud noises going on around them, we know that humans sleep better in quiet environments. A sound machine set at a safe decibel and placed 5-10 feet from baby’s crib can be helpful in drowning out those external sounds and helping baby sleep more peacefully. 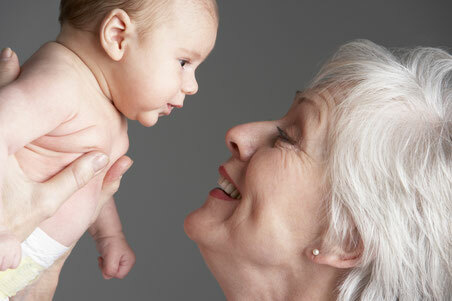 Don’t worry - your grandchild will not become “addicted” to white noise! When mom and dad want to do so, they can simply turn the sound down a notch or so each night for a week or two until the noise is gone. What you can do: Take an interest in the items that your son or daughter is purchasing for the new baby, and maybe even surprise them with a cute sleep bag or an unexpected gift like a sound machine or portable blackout blind! They will be both very appreciative and incredibly touched that you are already taking so much interest in their new journey through parenthood and the healthy sleep needs of your grandchild. Naps are essential to your grandchild’s overall, healthy sleep: Many people assume that it’s really only nighttime sleep that matters, and think that naptimes are kind of a “bonus.” Not so! Daytime sleep and nighttime sleep go hand-in-hand. The better-rested a baby is during the day, the easier that baby will fall asleep at bedtime, and the better he will sleep during the night. Babies who have long, restful, proper daytime naps generally sleep better at night than those who do not nap or take only very short catnaps during the day. What you can do: Enjoy every moment of cuddles, coos, and gummy smiles from your grandbaby when she is awake, but also allow her to go down in her crib for all of the proper, age-appropriate, restful naps that she needs during the day. Don’t try to keep her up for hours and hours, or skip a nap for extra playtime, at the expense of her proper sleep. Early bedtimes are key to proper sleep: Whether you see your grandchild every day, or you live out-of-town and only see her every few months, it can be tempting to want to keep her awake well into the evening, for extra playtime and snuggles. Also, if an early bedtime is not something that you practiced as a parent with your own son or daughter at this age, it may seem odd to you that your grandchild goes to bed “so early.” Research very clearly shows that children who go to bed earlier, before they become overtired, go to sleep more easily and sleep better and more peacefully throughout the night. Conversely, children who go to bed late (e.g. closer to the time the adults are hitting the hay! ), have more trouble falling asleep and have more night wakes and experience less restful nighttime sleep. What you can do: Do not scoff at the early bedtime. If your son or daughter is putting the baby to bed at 6:30pm because their little one had a tough nap day, or tucking in their preschooler at 7pm because that is the bedtime that is best for their child, commend them on their commitment to their child’s healthy sleep, help with the bedtime routine so you get a chance to interact with your grandchild during bath- and story-time, and then sit down and relax with your own child for the evening while your grandchildren sleep peacefully in the next room. Being a parent is tough. Period. Whether it’s 1982 or 2017, being a parent often means being full of doubts, fears, anxieties, and concerns about whether or not you are doing it “right,” and worrying about judgement from others who may have chosen to raise their children differently. What you can do: Respect your child's choices. Whatever choices your own child has made about your grandchild’s sleep – whether that is specific bedtimes (“Why does he go to bed SO early? ?”), where the baby sleeps (“Why is her crib STILL in your bedroom? ?”), or what baby sleeps in (What is that sleep-bag-looking-thing that she is wearing? 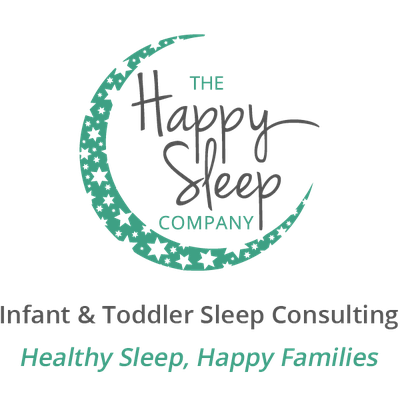 ?”), respecting your child’s choices about their baby’s sleep will give them the confidence they need and the reassurance they are looking for from the person they seek guidance from the most – you.